Since 2008, thousands of veterinarians and dog trainers worldwide have recommended the simplified, slow, beautiful classical compositions of Through a Dog’s Ear. This clinically tested music is now available in a long-lasting portable player. The superior sound quality and functionality of iCalmDog 5.0 – featuring the Creative Metallix™ speaker by Creative Technology Limited – rivals any portable speaker on the market and will be greatly enjoyed by 2- and 4-leggeds alike. This version of the iCalmDog (5.0) is compact, sleek, and portable, making it easy to keep your dog relaxed anywhere – at home, car rides to vet visits, you name it. Simply turn it on and enjoy hours of bioacoustically-arranged classical calming dog music. The speaker is Bluetooth enabled and comes with an external speaker cable, so you can use it for your music too! 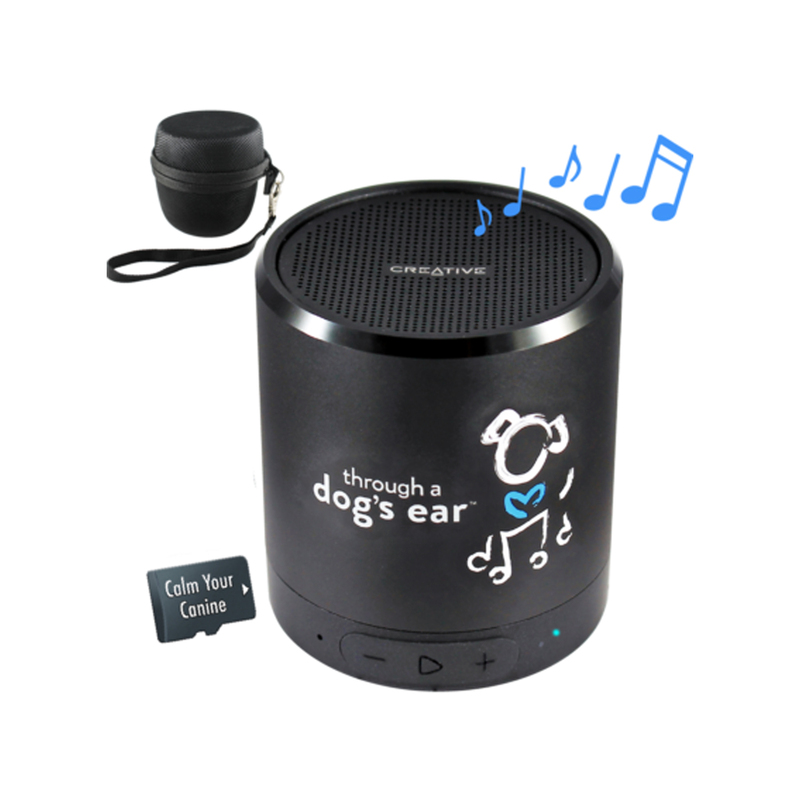 It plays on auto-repeat at a full charge for approximately 6-hours and plays any of the iCalmPet micro SD sound cards (Aggression, Separation Anxiety, Thunderstorms, City Sounds and Fireworks.) Mix and match music albums designed specifically for cats, dogs, and people too! 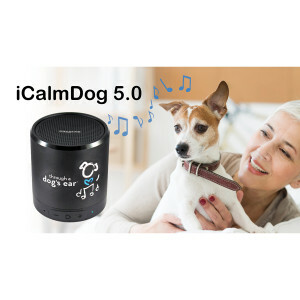 iCalmDog 5.0 system is infinitely expandable, with audio programs for all stages of life, environments, and situations. Small and lightweight, iCalmDog 5.0 is both stylish and portable. The speaker also features Bluetooth, FM radio, as well as USB and auxiliary ports for connectivity to many other devices. Our music programs are available in a varitey of formats. Use our sound cards or stream music using Bluetooth 4.2 function. The 5.0 has a battery life of 24 hours! Rest-assured your pooch will be with his specialized music when you're away, and even through short power-outages.